Google Daydream vs. Gear VR: Which Mobile VR Headset is Better? When it comes to mobile VR there are two major competitors: Google Daydream View and Samsung Gear VR. If you have a Galaxy phone, you can use either. So which one is better? Turns out, it depends on what you’re after. Price is probably the first thing you’ll want to look at when trying to figure out which headset to pick up. In fact, let’s just get that out of the way right now. If you’re just looking at the MSRP, Daydream View is $99 and Gear VR is $129. So there’s a $30 price difference there. Not terrible, but you can also find both units cheaper on places like Amazon—currently, Daydream View is $80 and Gear VR is $101. That’s a smaller, $20 price difference, with Gear VR still coming out as the more expensive of the two. Phone compatibility is another big concern. Gear VR is only compatible with Samsung phones—specifically, the S9/+, Note 8, S8/+, S7/Edge, Note 5, S6/Edge/Edge+, and A8/+. Daydream, on the other hand, is compatible with a broader range of phones, so obviously if you don’t have a Samsung device, you’ll want to look at the Daydream. But, since we’re comparing the Daydream and Gear VR here, we’re only going to focus on Samsung devices compatible with Daydream. The S9/+, S8/+, and Note 8 all make the cut—but that’s it. If you’re using an older Galaxy phone, like the S7 for example, then you’ll want to go with a Gear VR. If you’re using a Galaxy phone from the last 18 months or so, though, you do have a choice. And there are three things you need to really consider: comfort, features, and content. Let’s get to it. Some would argue that content is king, and in most cases we’re inclined to agree. But when the product is something you strap to your face for however long you use it, comfort becomes a pretty important factor. When it comes right down to it, both headsets are pretty comfortable. However, the Gear VR has more plastic, more bulk, and more straps. It’s just a bigger headset. 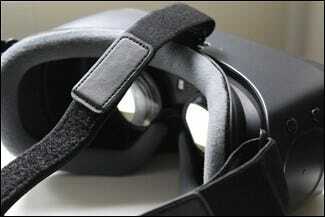 Unsurprisingly, the Gear VR is also a heavier headset. We weighed both headsets under the same circumstances: no phone, no protective cover on the Gear VR, and no controllers. Both headsets were essentially phone-ready. That’s a three ounce difference between the two, and it doesn’t even take into consideration the weight of a phone. The Galaxy S9, for example, adds another 5.6 ounces to either headset. 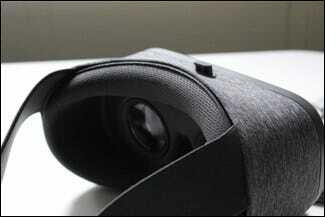 That means the Gear VR is right at a pound strapped to your face. If you use a bigger phone, it makes an even bigger difference. Both headsets have nice padding around the part that smooshes around your face, making both pretty comfortable to wear—but that could change if you wear glasses. That’s definitely something worth pointing out, because there are a lot of glasses-wearers out there that should be able to have a good experience with a VR headset. 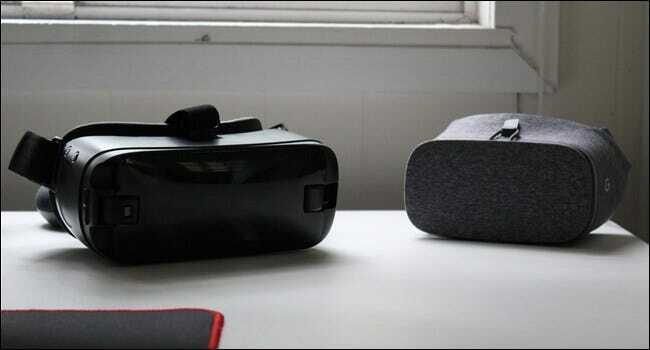 Left: Daydream View; Right: Gear VR. Look at that soft, smooshy stuff. For me, the Daydream was a much more pleasant experience while wearing glasses. The Gear VR always just felt awkward and like it was pressing my frames into my face—especially the nose piece. The Daydream, on the other hand, seemed to provide more space between the headset and my eyeballs. It felt that way, at least. The Gear VR has a strap across the top that the Daydream doesn’t have, so it feels a little more secure when you’re wearing it. 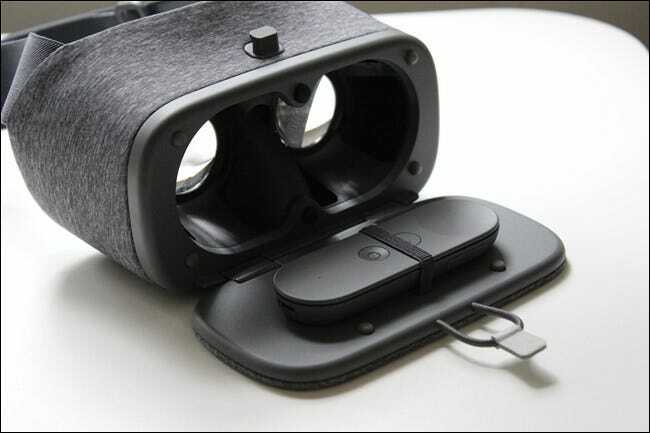 But, the Daydream View’s smaller footprint, lighter weight, and generally softer materials—everything on the outside of the headset is covered in a soft-touch cloth—easily makes it the more comfortable of the two. Features: Which Has More Bells and Whistles? Both headsets strap to your face and both come with compatible controllers. But that’s pretty much where the similarities end, at least when it comes to features and hardware. The Daydream View is really just a headset and a controller. You must use the controller with the headset—it just won’t work otherwise. The Gear VR, on the other hand, has all the controls you need built into the headset. If you don’t want to use the controller, you don’t have to—you can touch, tap, point, and scroll all with the headset. It has home and back buttons. It even has a button on top that lets you adjust the focus. Daydream doesn’t have any of those things. There really isn’t much more to compare: both headsets do the same thing and have the same functions. The Gear VR just gives you more ways to do it. If you lose the Daydream controller, guess what? 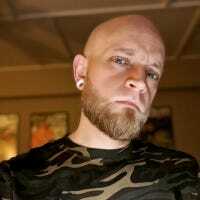 You’re screwed. But with the Gear VR, you can use it just fine without the controller—it’s not the best for games without the controller, but if all you’re trying to do is watch a movie or something, you can just roll with the onboard controls. Speaking of controllers, both serve the same function and are very similar, but there’s one key difference. 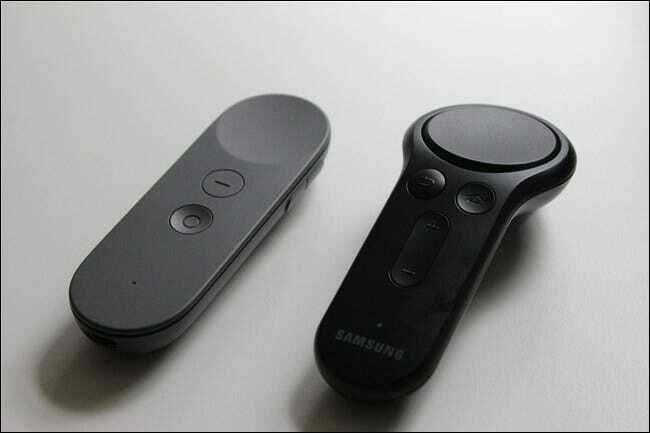 The Daydream controller is rechargeable (over a USB Type-C connection), while the Gear VR controller takes two AAA batteries. There is one other little convenience feature. The Daydream View has a little strap inside the phone “bay” where you can store the controller. The Gear VR does not. It’s a nice touch that I wish had been replicated on the Gear VR somehow. What a clean storage solution. When it comes down to it, though, the Gear VR’s additional headset controls edges out the Daydream View in the features category. Here’s where both headsets really start to separate from one another. All the Daydream View’s compatible apps are found in the Play Store (which makes sense), but the Gear VR uses the Oculus Store. And the two really couldn’t be more different in terms of what you’ll find. There’s no way to possibly do a direct comparison of everything in the stores, but if we had to sum it up quickly, here it is. The Oculus Store (and, by extension, Gear VR) is better for games. The Play Store (and Daydream View) is better for movies, pictures, and your own content. There are games for Daydream, of course—lots of them, in fact. They just don’t really compare in terms of quality. Oculus is a company that has made a name for itself in VR gaming, so it’s no surprise that’s where the focus is on Gear VR. There are some pretty high quality games available here that you won’t find in the Play Store—like Gunjack and Gunjack 2, for example. To put it in even simpler terms, Daydream is more about fun, exploration, and education. 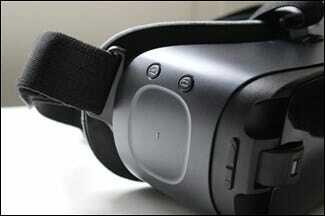 Gear VR is more about gaming. That’s pretty much as cut and dry as it gets when it comes to these two. 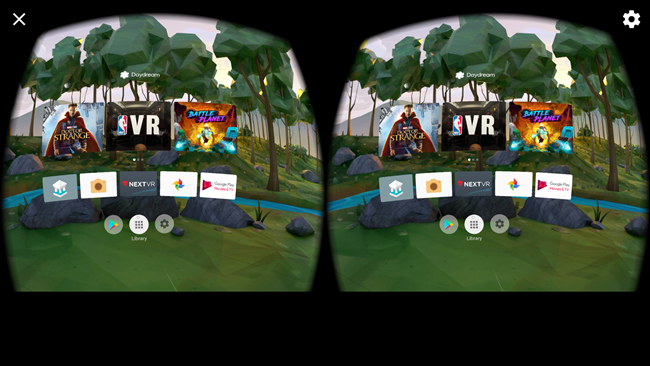 Now, all that said, there’s one huge thing we need to point out about Gear VR: sideloaded apps or anything from the Play Store will not show up in the Oculus launcher. So, for example, if you already have some cardboard-compatible apps in your library, you won’t be able to easily use those in your Gear VR. There are some workarounds out there, but we wouldn’t count on those as a means to access your content. Workarounds are just that: workarounds. They may not always work. It’s also worth noting that most of the really popular apps are going to available on both platforms—Netflix VR, Plex Vr, Skybox, etc.—with one pretty major exception: YouTube VR. Since that’s a Google App, you won’t find it on Gear VR. That said, you can use the built-in browser to watch YouTube VR videos on the web. It’s kind of a pain, but it’s a solution if you only want to watch YouTube VR videos occasionally. There’s no clear winner here, because ultimately it’s pretty subjective—it depends on what you’re after for your VR experience. 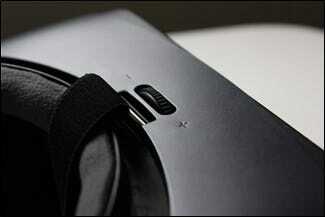 If it’s gaming, then the Gear VR is probably the better choice. If it’s everything else, then Daydream isn’t a bad way to go. Maybe you saw this coming, but neither of these headsets is necessarily “better” than the other—they’re both very good for different reasons. And more importantly, they’re both fun. If you’re looking to get into VR on the cheap, you can’t really go wrong either way.